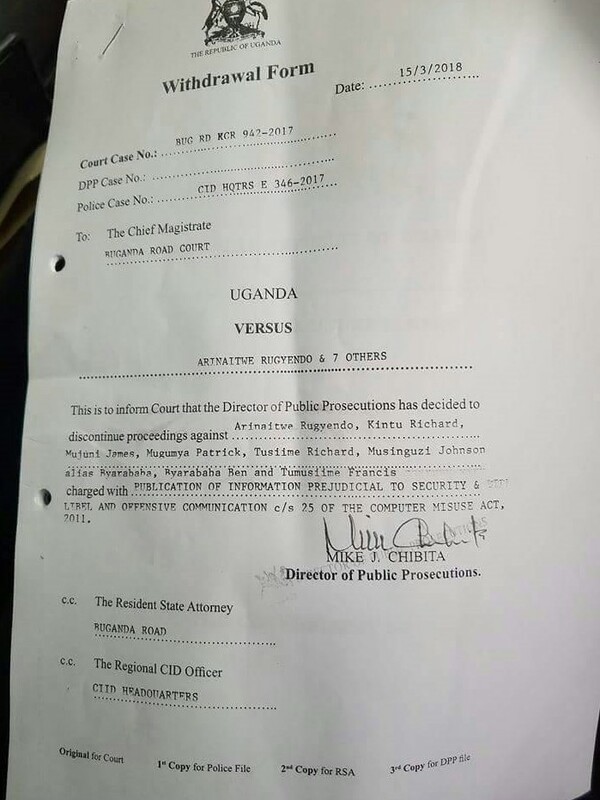 KAMPALA- Buganda Road Chief Magistrate Samuel Kagoda has dismissed the case against five directors and three editors of the Red Pepper Publications Ltd, who were defending themselves against three counts, including publication of information prejudicial to national security. The dismissal this Tuesday morning came after the Director of Public Prosecutions (DPP) Mike Chibita withdrew the charges. The court had adjourned the matter to March 27 after the state prosecutor Abdul Salaam Waiswa failed to turn up on March 15. But the DPP has now informed the court that he has withdrawn the matter. 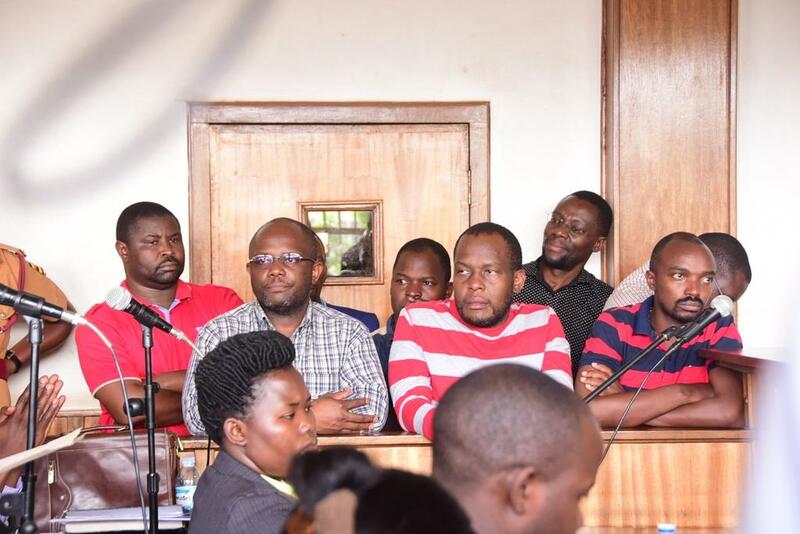 The Red Pepper directors were facing charges of publishing information prejudicial to national security and disturbing the peace of President Museveni, his brother Gen Salim Saleh and then Security minister Gen Henry Tumukunde . The Red pepper offices in Namanve, near Kampala were closed in November last year and put under 24-hour surveillance by police. The newspaper was re-opened in February after the directors met President Museveni.